Bill Patterson, the board president for the Delta-Montrose Electric Association (DMEA), a rural utility in a conservative pocket of Western Colorado, thinks the shift to renewable energy just makes plain economic sense. And DMEA members agree. Last week they voted in favor of giving the electric co-op the option to sell stocks in order to raise enough money to buy itself out of its contract with the wholesale provider Tri-State Generation & Transmission due to a desire to produce more renewable energy, locally. Continue reading here. 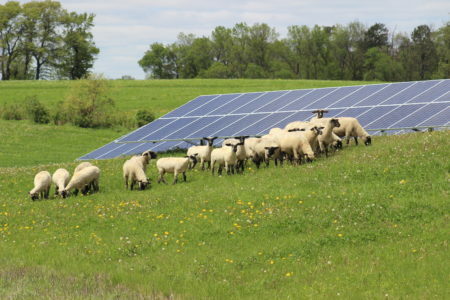 This entry was posted in Community-Scale Solar, NewsBlog and tagged Cooperative Leadership Network, Delta-Montrose Electric Association (DMEA), High Country News, National Rural Electric Cooperative Association (NRECA), resources for developing a utility-scale solar project, Solar Utility Network Deployment Acceleration (SUNDA), Tri-State Generation & Transmission on October 24, 2018 by Helen Deffenbacher. Currently, 95 percent of NRECA’s distribution members offer renewable options to 40 million Americans. 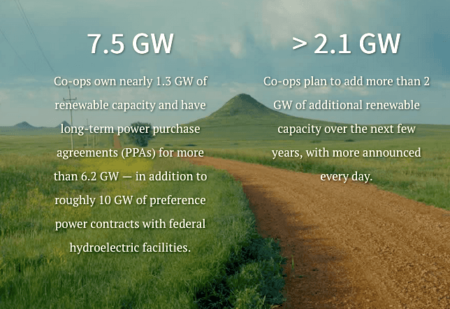 Co-ops own more than 1.3 GW of renewable capacity and have long-term power purchase agreements (PPAs) for nearly 7.4 GW — in addition to roughly 10 GW of preference power contracts with federal hydroelectric facilities. Co-ops plan to add more than 1 GW of additional renewable capacity over the next few years, with more announced every day. NRECA’s Interactive Map: Cooperative Solar Across the Country, shows that 443 cooperatives in 43 states utilize solar as a source of power. Nebraska ranks 20th among those states, with 8 co-ops using solar, following: Georgia (42), Minnesota (37), North Carolina (26), Tennessee (24), Colorado (23), Indiana (23), Iowa (22), Oklahoma (21), South Carolina (21), Wisconsin (19), Arkansas (18), New Mexico (16), Mississippi (14), Illinois (13) Texas (11), Virginia (11), Alabama (10), Florida (9), and Wyoming (9). Click here and scroll down to individual states’ information to see which Nebraska cooperatives are currently utilizing solar. NRECA’s Interactive Map: Cooperative Wind Across the Country, shows that.564 cooperatives in 37 states use wind as a source of power. Nebraska ranks 5th among those states, with 30 co-ops utilizing wind, following Minnesota (44), Missouri (41), Indiana (38), and Iowa (31). Source: ” Click here and scroll down to individual states’ information, including a list of all 30 Nebraska cooperatives using wind. 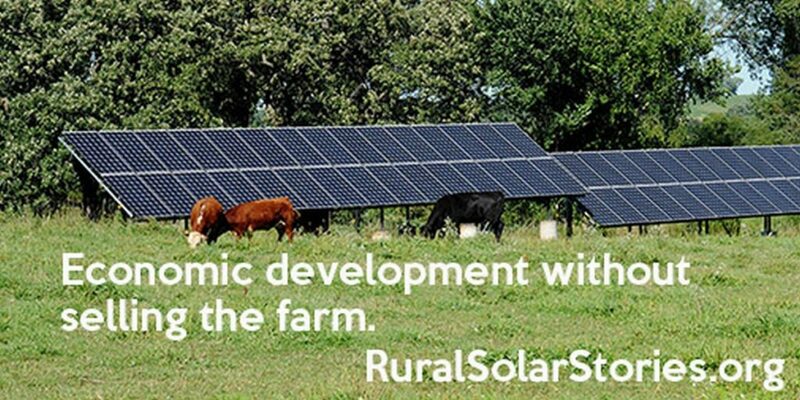 This entry was posted in Nebraska / Midwest News and tagged National Rural Electric Cooperative Association (NRECA), Nebraska cooperatives utilizing solar & wind energy, Nebraskans for Solar's NewsBlog, NRECA's Interactive Solar and Wind Maps, rural electric cooperatives and renewable energy on March 4, 2018 by Helen Deffenbacher. Strong showings from electric cooperatives, as well as greater satisfaction among all electric consumers, are among the highlights of a new J.D. Power report. The firm’s 2017 Electric Utility Residential Customer Satisfaction Study shows several co-ops with top-of-the-chart scores besting many investor-owned and municipal utilities. Read more here. Co-ops own nearly 1.3 GW of renewable capacity and have long-term power purchase agreements (PPAs) for more than 7.3 GW – in addition to roughly 10 GW of preference power contracts with federal hydroelectric facilities. By the end of 2017, the total solar energy capacity of America’s electric cooperatives will be five times what it was two years ago. This year, co-ops are on pace to add 480 MW of solar, which would bring their total capacity to 872 MW. This more than quadruples the 180 MW reached in 2015 and represents a 20-fold increase over the 37 MW capacity in 2010. This entry was posted in Nebraska / Midwest News, NewsBlog, Research and tagged community solar programs offered by 133 rural electric cooperatives, cooperative solar, National Rural Electric Cooperative Association (NRECA), Rural Electric Cooperatives, rural electric cooperatives' renewable energy development on July 19, 2017 by Helen Deffenbacher. Rural electric cooperatives spread across the U.S. in the 1930s to electrify parts of the country where as many as nine out of ten rural homes lacked electricity. Today, many of those co-ops are building on that legacy by deploying an advanced, 21st-century version of the electricity distribution systems they brought to farms decades ago. In some cases, rural America is seeing the smart grid arrive at their doorstep well before their urban and suburban counterparts. 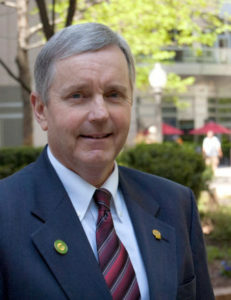 As the newly elected, two-year-term president of the National Rural Electric Cooperative Association (NRECA), Phil Carson has a bird’s-eye view of grid modernization efforts underway in rural America. Continue reading. 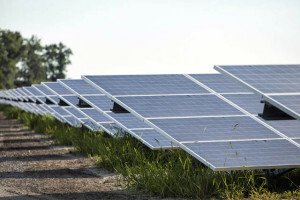 This entry was posted in Nebraska / Midwest News, NewsBlog and tagged grid modernization in rural America, Midwest Energy News, National Rural Electric Cooperative Association (NRECA), Nebraskans for Solar, NRECA President Phil Carson, Rural Electric Cooperatives, smart grid development, Tri-County Electric Cooperative in Illinois on May 2, 2017 by Helen Deffenbacher. 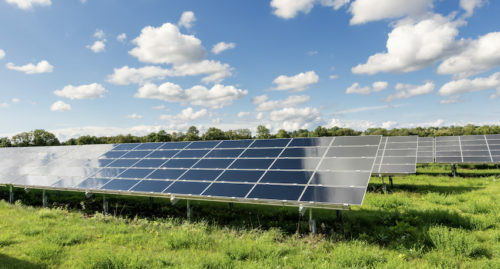 By the end of 2017, the total solar energy capacity of America’s electric cooperatives will be five times what it was two years ago, according to data released by the National Rural Electric Cooperative Association (NRECA). This year, co-ops are on pace to add 480 MW of solar, which would bring their total capacity to 873 MW. 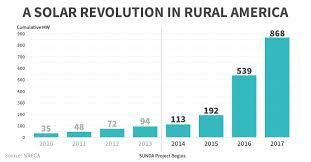 This more than quadruples the 180 MW reached in 2015 and represents a twenty-fold increase over the 37 MW capacity in 2010. In addition, NRECA says that over the last two years, cooperatives have expanded their solar footprint from 34 states to 44 states. Click here to continue reading. 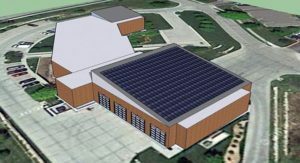 This entry was posted in Community-Scale Solar, Nebraska / Midwest News, NewsBlog and tagged community solar, National Rural Electric Cooperative Association (NRECA), Nebraskans for Solar, rural electric cooperatives - national leaders in community solar, Vernon Electric Cooperative in Wisconsin on March 10, 2017 by Helen Deffenbacher.